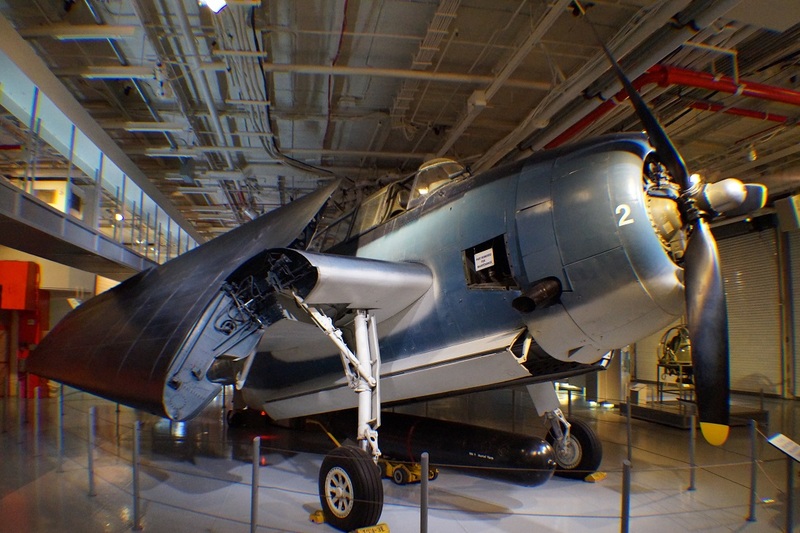 Comments:The Grumman TBF Avenger (designated TBM for aircraft manufactured by General Motors) is an American torpedo bomber developed initially for the United States Navy and Marine Corps, and eventually used by several air and naval aviation services around the world.Grumman's first torpedo bomber was the heaviest single-engined aircraft of World War II, and only the USAAF's P-47 Thunderbolt came close to equalling it in maximum loaded weight among all single-engined fighters, being only some 400 lb (181 kg) lighter than the TBF, by the end of World War II. 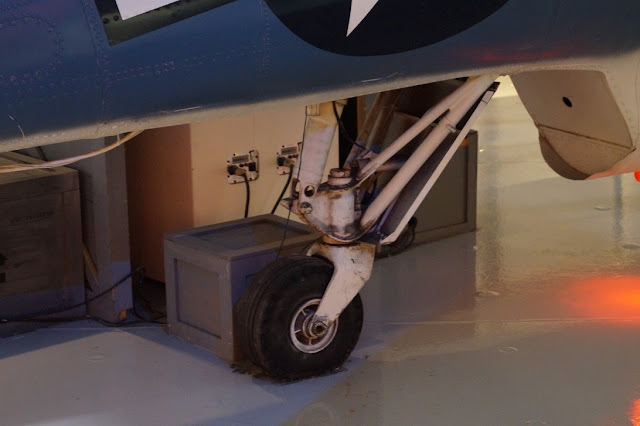 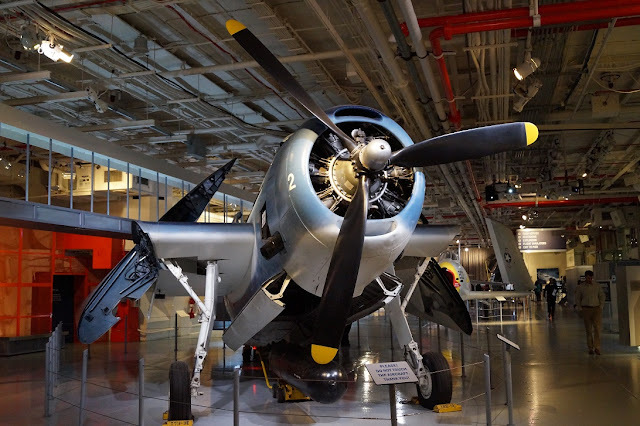 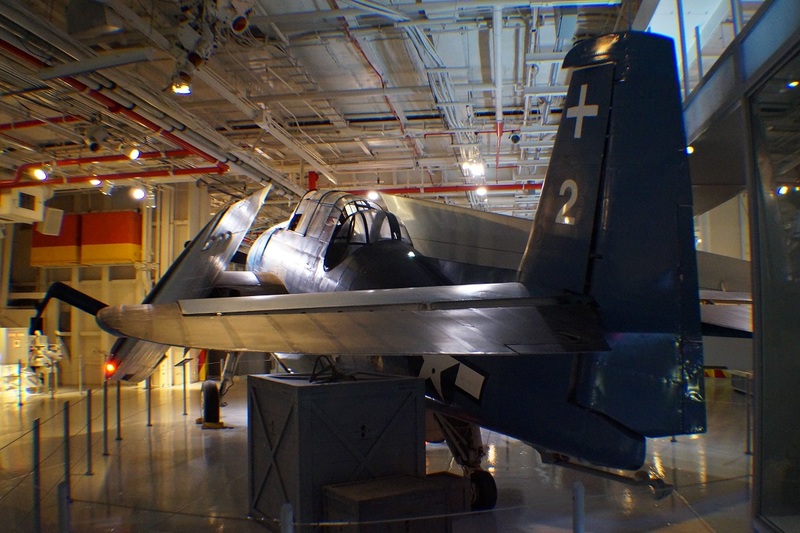 To ease carrier storage concerns, simultaneously with the F4F-4 model of its Wildcat carrier fighter, Grumman designed the Avenger to also use the new Sto-Wing patented "compound angle" wing-folding mechanism, intended to maximize storage space on an aircraft carrier; in addition to the Wildcat and Avenger, the Wildcat's replacement, the F6F Hellcat also employed this mechanism as well. 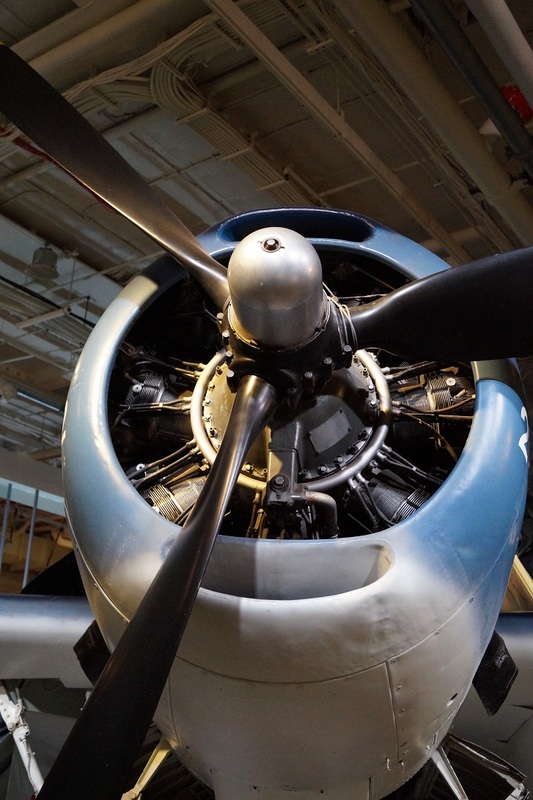 The engine used was the Wright R-2600-20 Cyclone 14 twin-row radial engine (which produced 1,900 hp/1,417 kW). The aircraft took 25 gallons of oil and used one gallon per minute at start-up. 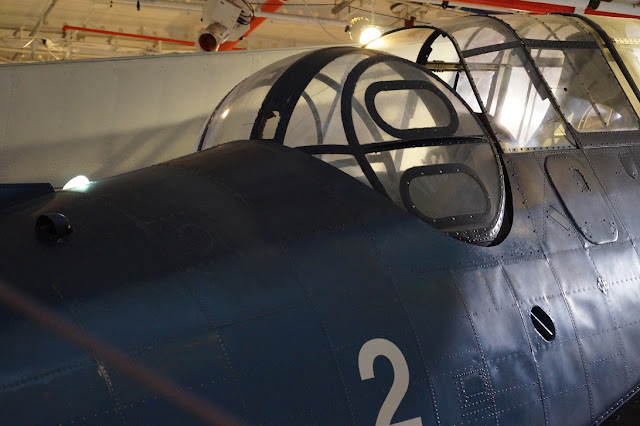 There were three crew members: pilot, turret gunner and radioman/bombardier/ventral gunner. 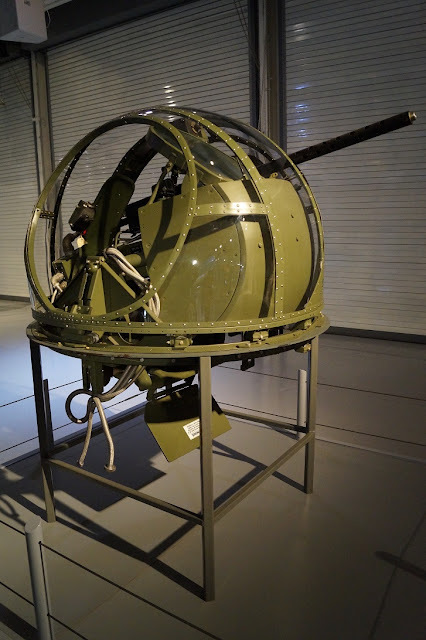 One .30 caliber machine gun was mounted in the nose, a .50 caliber (12.7 mm) gun was mounted right next to the turret gunner's head in a rear-facing electrically powered turret, and a single .30 caliber hand-fired machine gun mounted ventrally (under the tail), which was used to defend against enemy fighters attacking from below and to the rear. 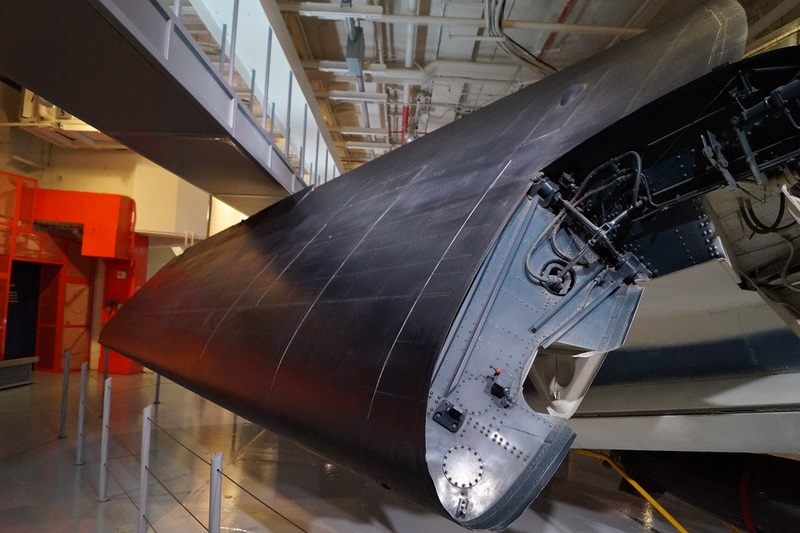 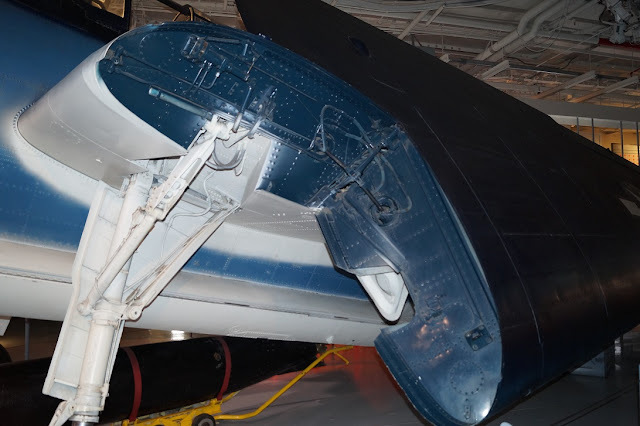 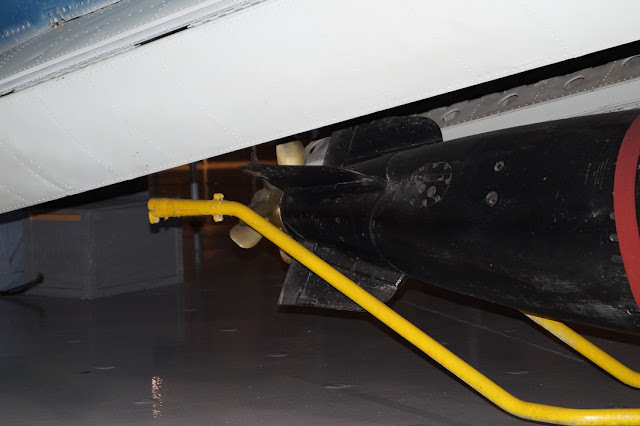 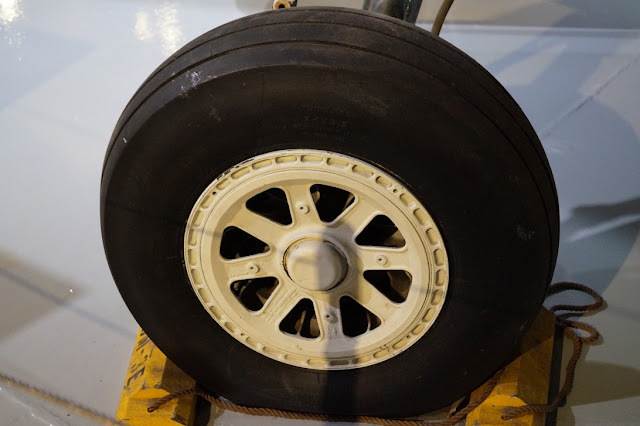 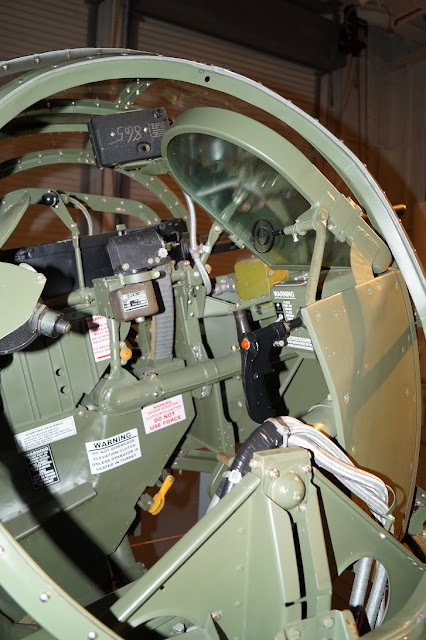 This gun was fired by the radioman/bombardier while standing up and bending over in the belly of the tail section, though he usually sat on a folding bench facing forward to operate the radio and to sight in bombing runs. 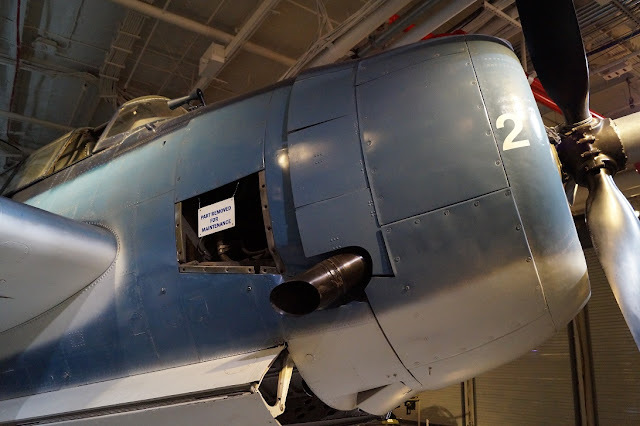 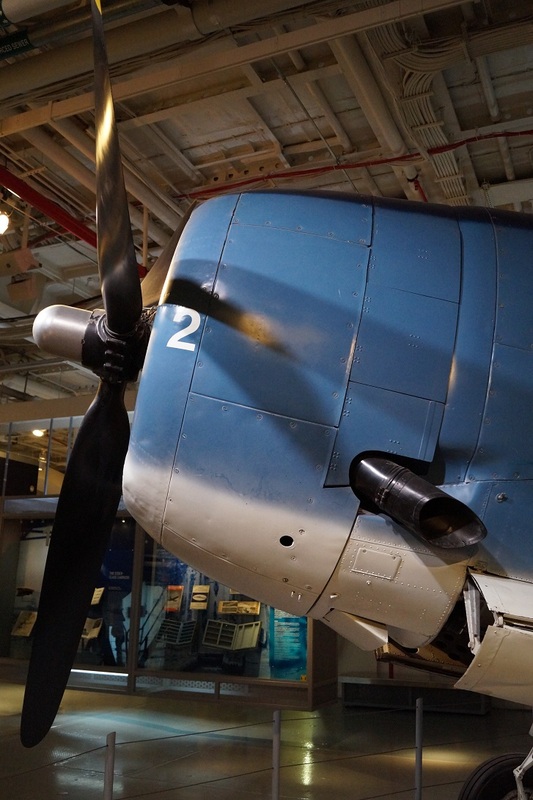 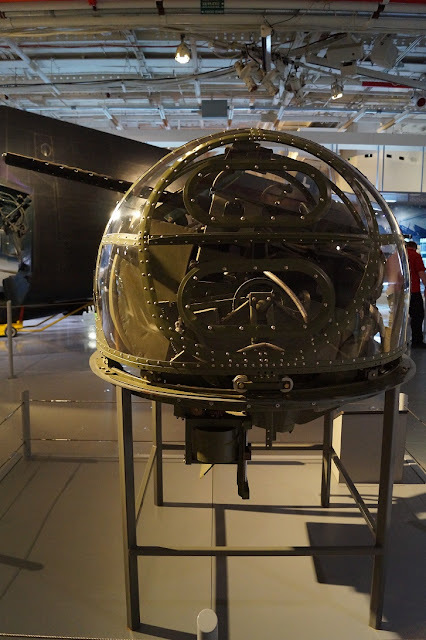 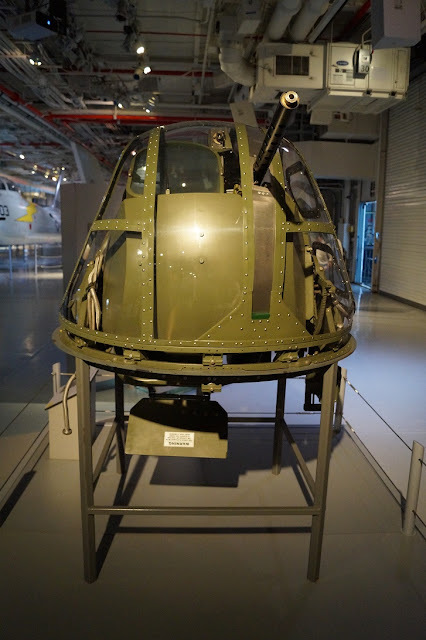 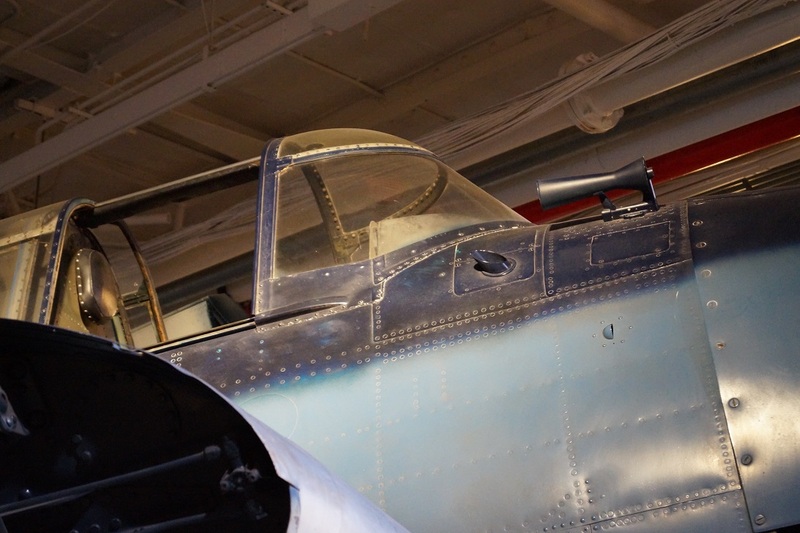 Later models of the TBF/TBM dispensed with the nose-mounted gun for one .50 caliber gun in each wing per pilots' requests for better forward firepower and increased strafing ability. 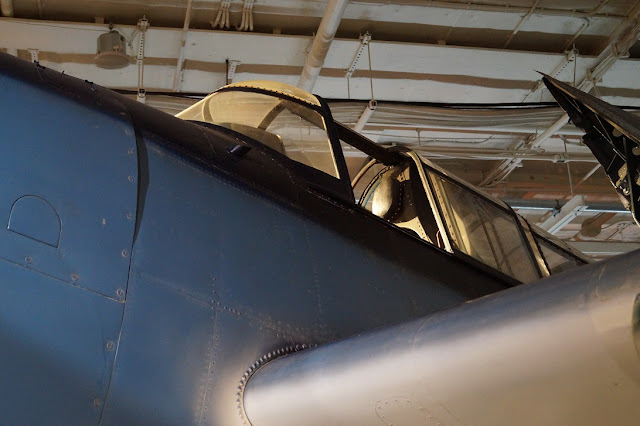 There was only one set of controls on the aircraft, and no access to the pilot's position from the rest of the aircraft. 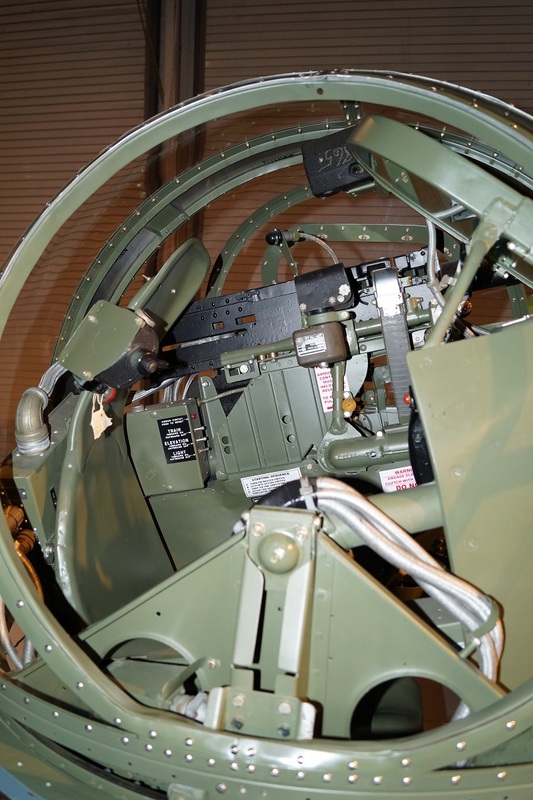 The radio equipment was massive, especially by today's standards, and filled the length of the well-framed "greenhouse" canopy to the rear of the pilot. 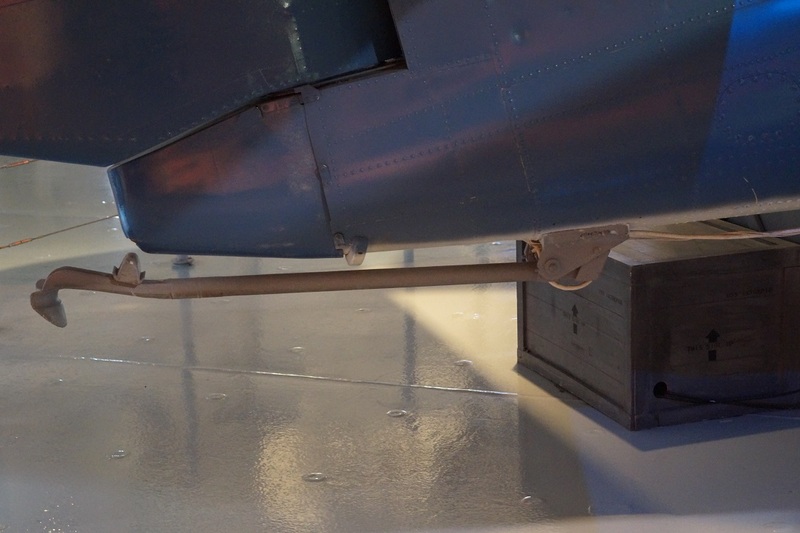 The radios were accessible for repair through a "tunnel" along the right hand side. 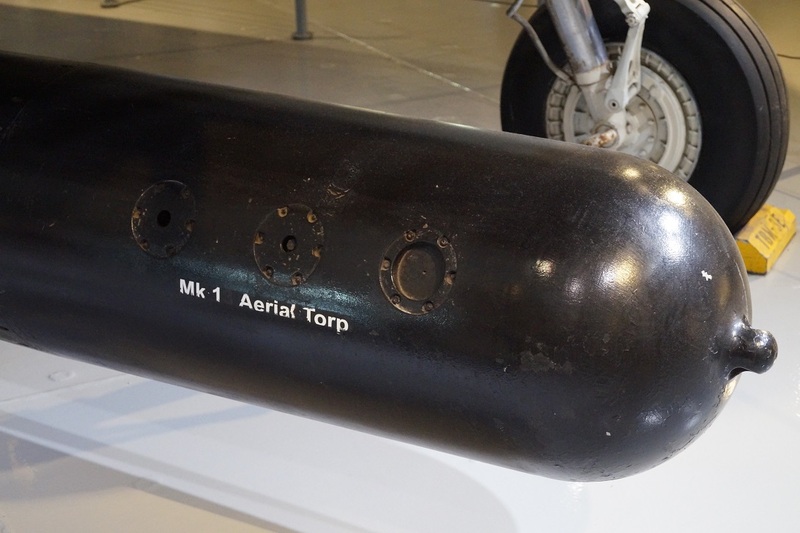 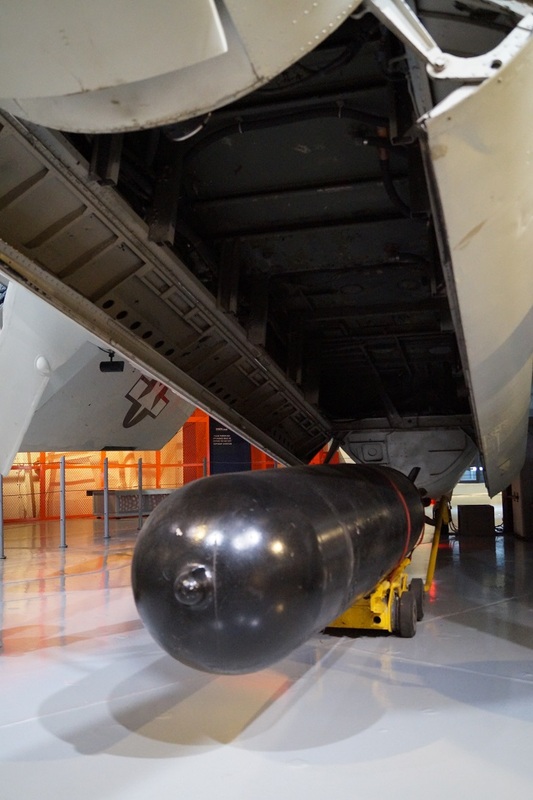 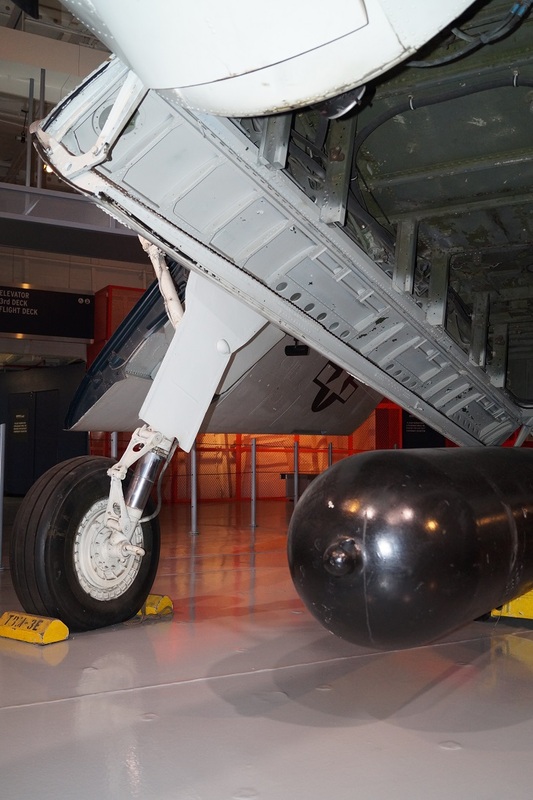 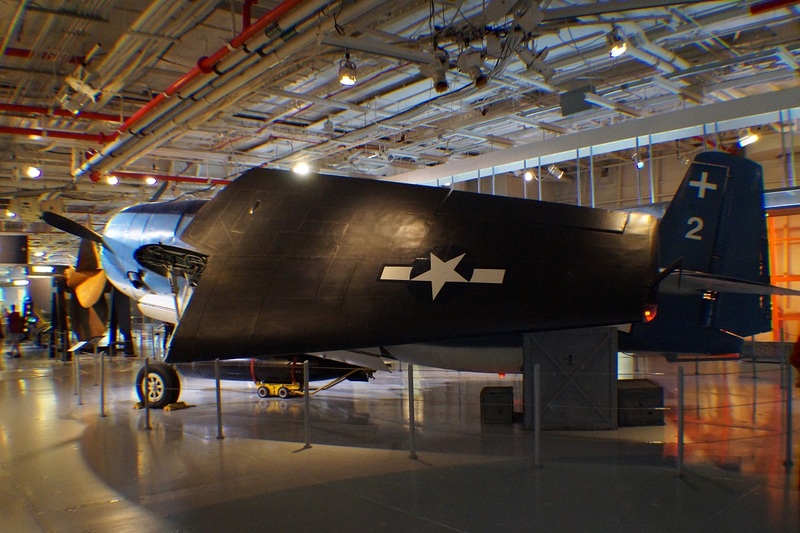 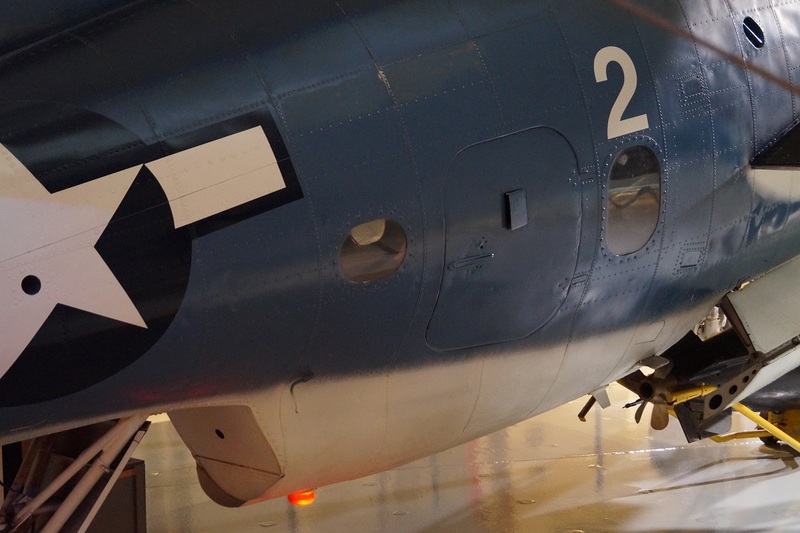 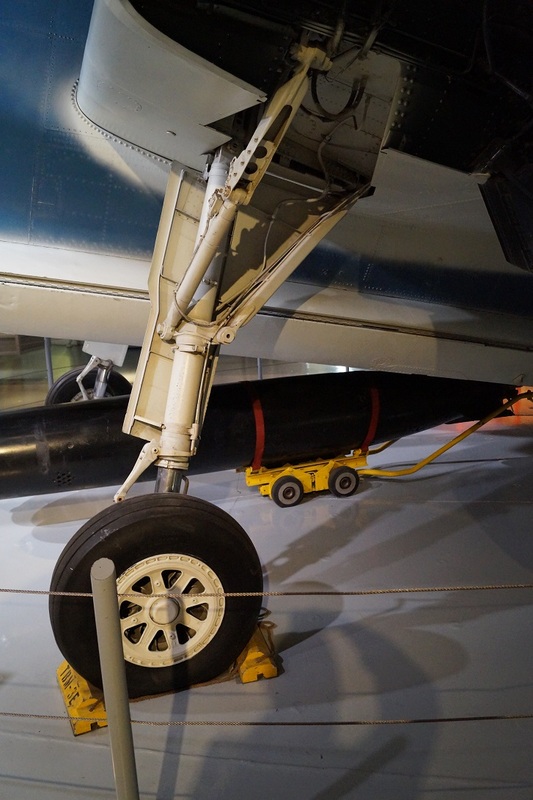 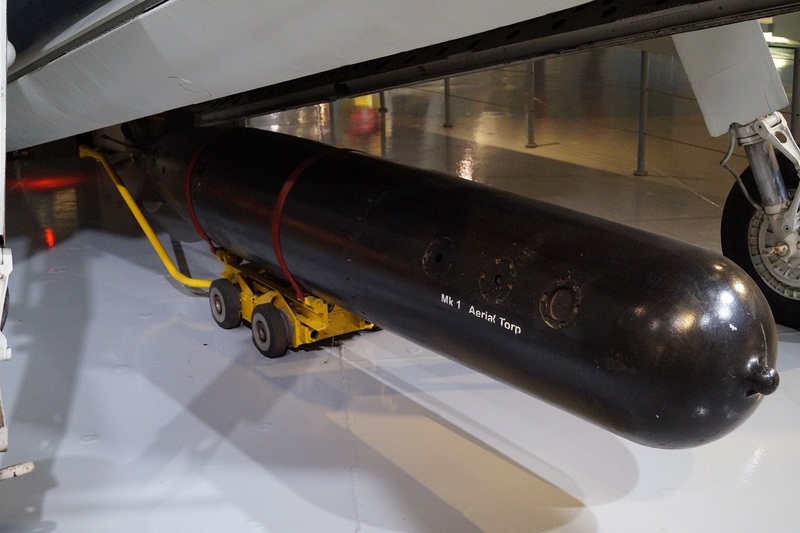 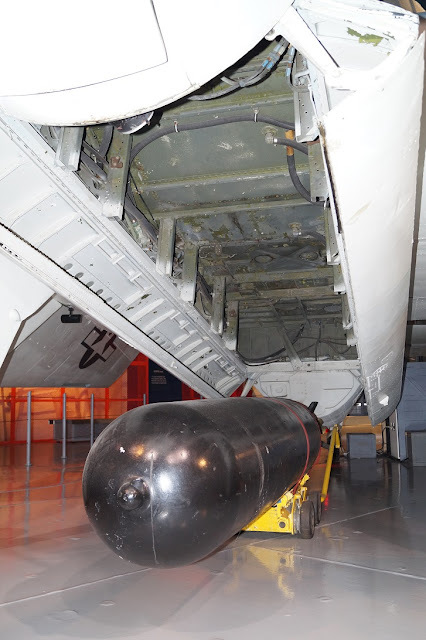 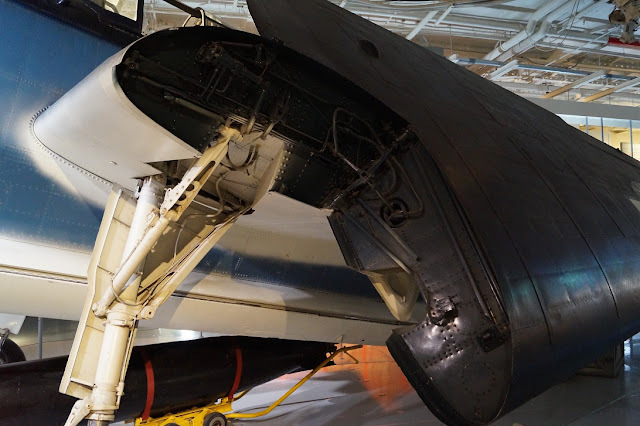 Any Avengers that are still flying today usually have an additional rear-mounted seat in place of the radios, allowing for a fourth passenger.The Avenger had a large bomb bay, allowing for one Bliss-Leavitt Mark 13 torpedo, a single 2,000 pound (907 kg) bomb, or up to four 500 pound (227 kg) bombs. 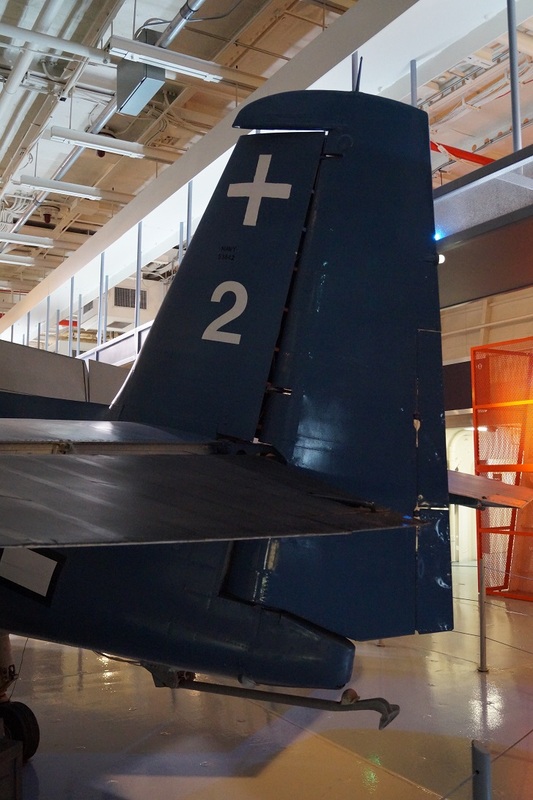 The aircraft had overall ruggedness and stability, and pilots say it flew like a truck, for better or worse. 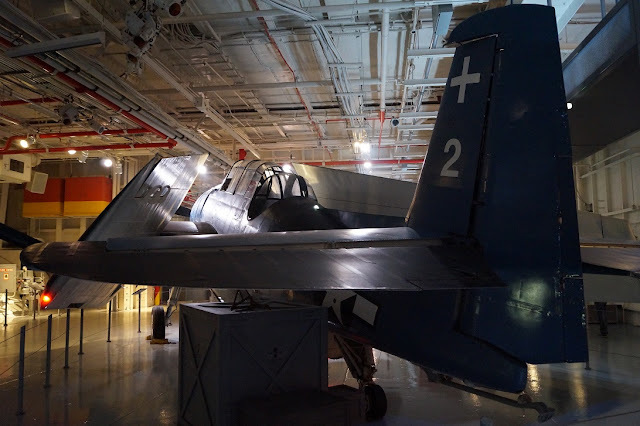 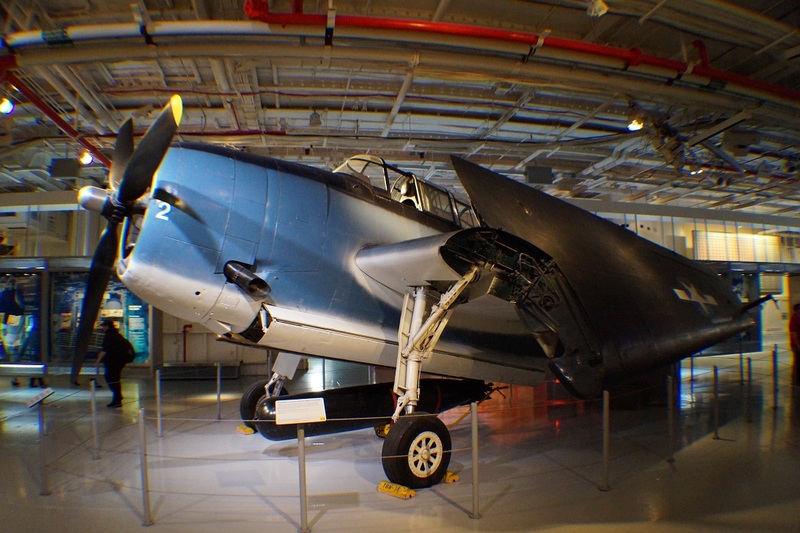 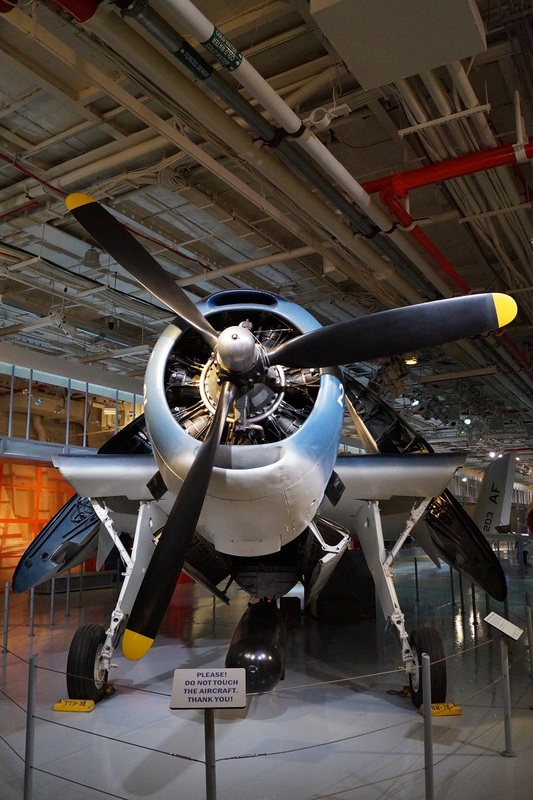 With its good radio facilities, docile handling, and long range, the Grumman Avenger also made an ideal command aircraft for Commanders, Air Group (CAGs). 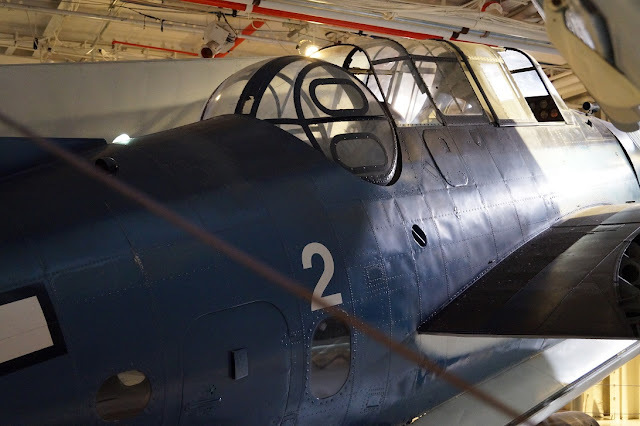 With a 30,000 ft (10,000 m) ceiling and a fully loaded range of 1,000 mi (1,610 km), it was better than any previous American torpedo bomber, and better than its Japanese counterpart, the obsolete Nakajima B5N "Kate". Later Avenger models carried radar equipment for the ASW and AEW roles.